The war in Vietnam may have ended in 1975, but its effects are far-reaching and more devastating to the soldiers who gave their lives to serve on behalf of the United States than anyone could ever imagine. Agent Orange is the most commonly known chemical to have had an impact on the men and women who served in Vietnam during the decades long war, but it is far from the only substance to have made its indelible mark on millions of unsuspecting American soldiers. In addition to the onslaught of health concerns for the soldiers themselves, their children and grandchildren are potential victims of the effect of the various chemicals as well. Patrick Hogan, author of Silent Spring – Deadly Autumn of the Vietnam War, lays out for readers, in no uncertain terms a full and complete breakdown of each of the deadly agents used in the pesticides sprayed so liberally in Vietnam during the duration of the war. Hogan, a man who served for just shy of three years in the throes of the war and in the midst of one of the most heavily sprayed areas, brings to light a lengthy list of facts related to each and every toxin administered during those years as well as a complete breakdown of the physical and mental impact each has been proven to cause. Sadly, Hogan also shines a light on the fact that these brave men and women, now fighting a battle quite unlike the one they faced in Vietnam and one with no end in sight, are being asked to prove, time and time again, that they served in Vietnam in the areas treated by the deadly mixtures. Hogan makes it painfully clear that humiliation, frustration, and fear are all prevalent emotions among the men and women who deserve nothing but respect and the best care our country has to offer. In addition, Hogan reiterates throughout his book, they deserve and are owed an explanation as to why there have not been answers to the endless questions regarding the safety of Agent Orange and countless other toxins used in the pesticides shipped to and used regularly throughout the conflict. 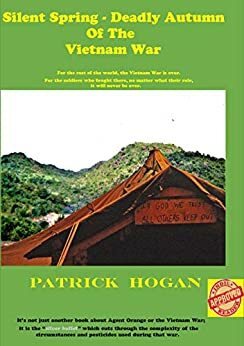 As I read Hogan’s account of his own tragic experiences, I couldn’t help but be overwhelmed by the fact that the general public is grossly misinformed about Vietnam. 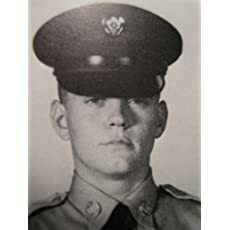 He is right–most of us are familiar with the term “Agent Orange,” but we have no idea exactly how it was administered, the type of conditions our soldiers endured, and the gross negligence involved in its use. It is simply mortifying, and Hogan should be commended for doing his part to bring long overdue attention to the veterans and their families who deal with the lingering effects of the Vietnam War each and every day. For as complex as is the subject matter and as involved are his explanations regarding each chemical listed, Hogan writes with a pleasantly conversational and almost familiar tone. The world needs more writers like Patrick Hogan and more veterans willing to come forward and share their own stories. We, as a country, owe them so much more than we realize. Thank you for your service, Mr. Hogan.